…with liberty and justice for all? Minnesota Attorney General Lori Swanson said patients and doctors are having “significant problems” with Humana. Minnesota Attorney General Lori Swanson is asking the federal government to investigate Humana’s Medicare Advantage policies after uncovering what she said were “significant problems” reported by Minnesota patients and medical providers. Affidavits gathered from 25 Minnesotans showed a pattern where Humana denied claims for medical services required by law, overcharged for co-payments and coinsurance, and failed to disclose the providers that are in the network, she said. Swanson’s office also found that Humana didn’t follow procedures laid out by federal regulations for patients to appeal their cases. Humana, based in Louisville, Ky., is one of the nation’s largest health care insurers in Medicare Advantage, a private policy that covers seniors and those with disabilities. Humana has been doing business in Minnesota for more than 10 years, and provides insurance coverage to more than 100,000 residents through various types of Humana Medicare Advantage plans, including a plan for prescription drugs, according to a company official. Humana spokeswoman Kate Marx said in an e-mail that the insurer has not been notified of the complaint by the Minnesota attorney general’s office or by federal regulators. “We take this very seriously and are working to identify the facts,” Marx said. ST. PAUL, Minn. (WCCO) – Minnesota Attorney General Lori Swanson says a federal investigation is needed to look into business practices at one of the nation’s largest private Medicare insurers. On Friday, Swanson sent a massive file of complaints against Humana to the federal agency charged with overseeing that part of Medicare. She’s asking the Centers for Medicare & Medicaid Services (CMS) to look into more than 27 complaints on file. 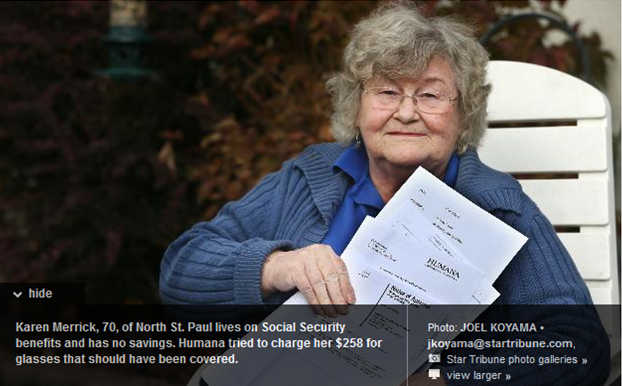 For the past couple of years, Humana policy holders in Minnesota have complained of improper denial of coverage, overcharges for co-payments and failure to follow the required appeals process. Kentucky-based Humana provides private Medicare insurance coverage to more than 100,000 Minnesota seniors. This investigation into Humana’s alleged wrongdoing has been going on for a couple of years, Swanson asserts. It stems from both consumer and medical provider complaints from across the state. 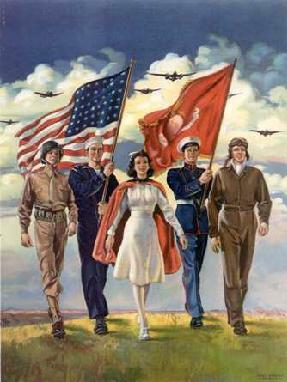 In Honor of a Special WWII Vet Who Proudly, Courageously & Honorably Served His Country! Now he is forced into a fight to simply survive the system! 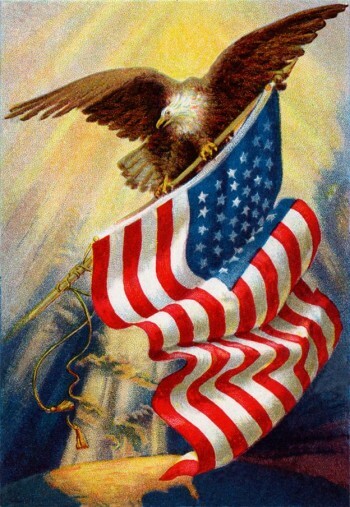 With honor & dignity we proudly fly our flag!